Our delivery days are Monday-Friday. Saturday deliveries in Sydney CBD by request. Shorty's Liquor is based in Sydney's CBD and delivers nationwide. We are able to service 92% of the addresses in Australia. Please note that we cannot deliver to Northern Territory, Australia. 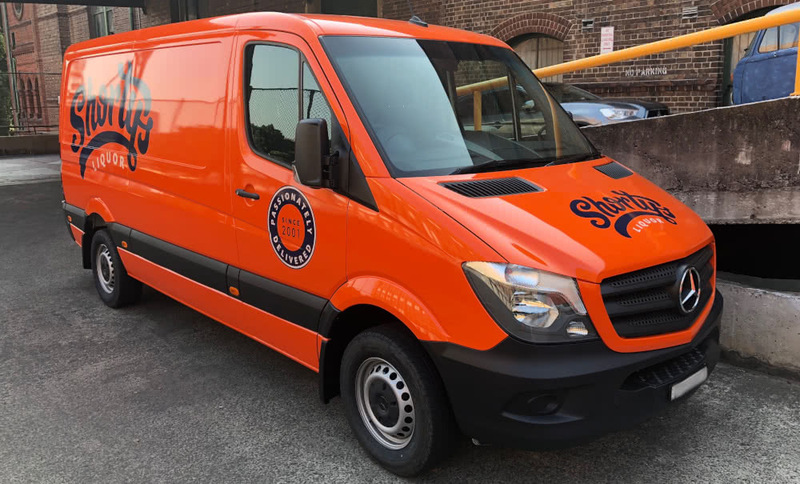 Sydney-based clients of Shorty's Liquor enjoy fast delivery and other benefits we are able to offer due to our central city location. We take great care to ensure that your bottles are safely packaged before transit and reach you quickly in the best possible condition. Free shipping on orders over $100 per location. If you are based in central Sydney, you can choose Same Day Delivery if you place your order before 10am on a business day. We will deliver before 5pm on that same day and the delivery cannot be guaranteed cold. Same day deliveries will not be left unattended. Same day deliveries must be received by a non-intoxicated person over the age of 18. Photo ID may be requested upon delivery. All Shorty's Liquor clients in the Sydney area qualify for our Next Day Delivery option. If you wish to receive your order on a specific business day, you can select which one using the Calendar feature at checkout. Our Sydney clients are able to select an AM or PM delivery, to be delivered within a 3-hour window, for Next Day (placed before 5pm) and Pick a Day orders. This is completely optional and incurs no additional delivery charges. Same day deliveries will not be left unattended. Same day deliveries must be received by a non-intoxicated person over the age of 18. Photo ID may be requested upon delivery. If you would like your products delivered chilled, this option is available at no extra cost for Next Day and Pick a Day deliveries. You can request Cold Delivery for Same Day orders, however this is not always possible as the products you order may not have time to chill in Shorty's on-site cool room before they are delivered. Shorty’s Liquor can deliver wines, champagnes and spirits outside the Sydney Metro area to most addresses in Australia. However, we are not able to deliver beer, cider, water, RTDs, juices and soft drinks outside Sydney Metro because the case packaging makes them unsuitable for long haul road freight. Delivery fees are applied per location based on order spend and can't be quoted on the website, please contact us via phone 1300 746 789 or email orders@shortysliquor.com.au with an address and gift requirements list for us to quote on delivery fees. Depending on your distance from our location in Sydney CBD, your order will be delivered between 2 to 7 business days. Price: $9.95 per each quantity of up to one dozen bottles. I.e, 12 bottles or less cost $9.95, 24 bottles or less cost $19.90, 36 bottles or less cost $29.85, etc. Bottles can be a mixed selection from our entire range of wines, champagnes and spirits. *Please Note: Deliveries going to Western Australia, Tasmania or remote areas may take longer.